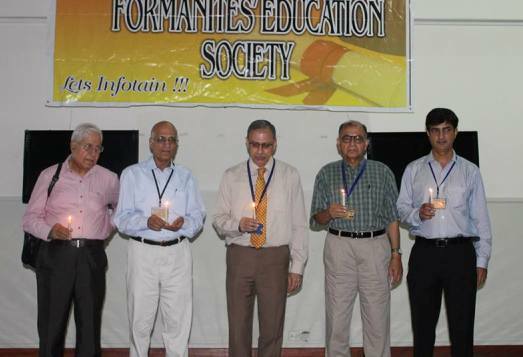 The Formanites’ Education Society celebrated Teachers’ Day on 3 October 2013. The faculty was invited to participate in this event. Teachers who had studies at FCC and are now teaching here, shared their experiences with the audience. At the end, the senior teachers were called on stage, and students lit candles from the teachers’ candles. 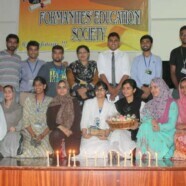 The members of the society presented flowers and presents to the teachers. 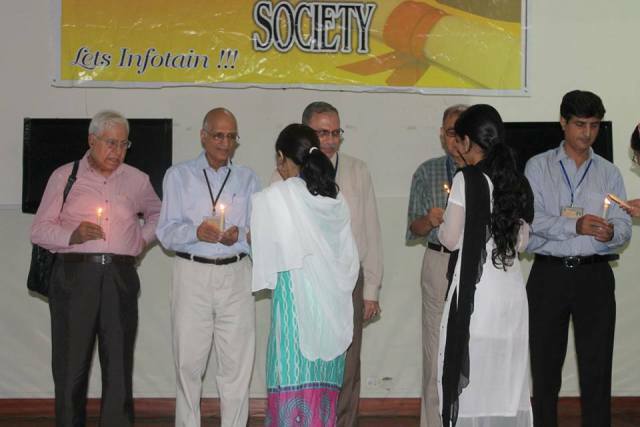 The event ended on an encouraging note from the teachers. 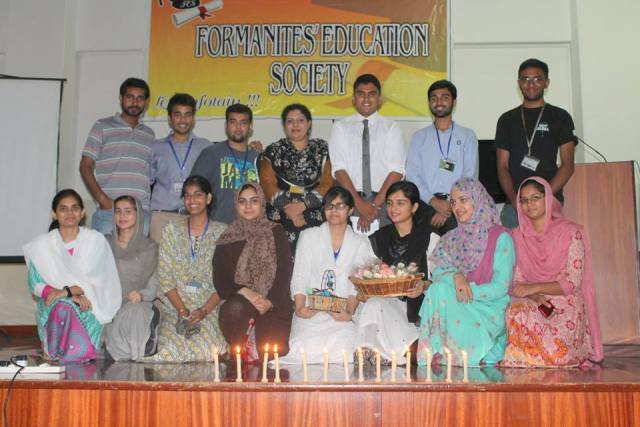 FES plans to organize more educational and recreational events in the future.